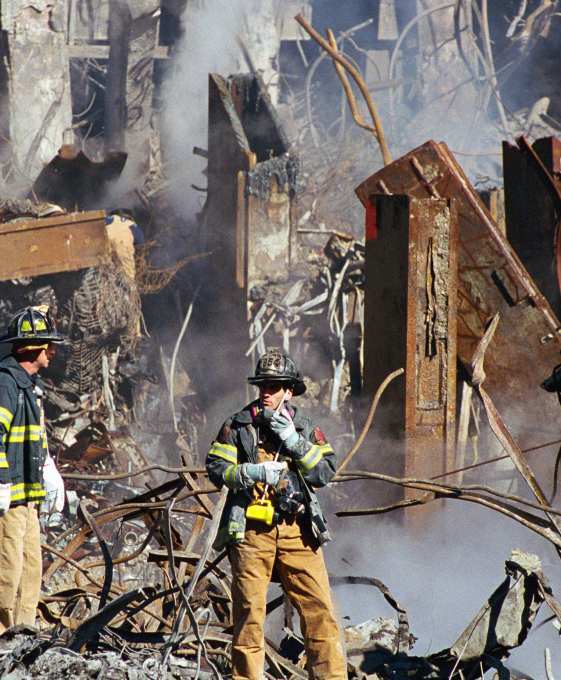 In this photo, for example, the column directly above the fireman's helmet shows that it was cut with thermite. There is a substantial amount of hardened molten iron which can be seen on both the inside and outside of the box column. This is precisely what one would expect to find on a column which had been cut with thermite.